Visit Marina Bay Sands, Botanic Gardens, Haji Lane, Clarke Quay and many more attractions! Explore Singapore at your own pace on the fun, flexible Singapore Hop-On, Hop-Off Tour. Choose between a 24 and 48-hour hop-on, hop-off bus tour and travel from one attraction to another attraction of your choice with minimum hassle and utmost convenience. 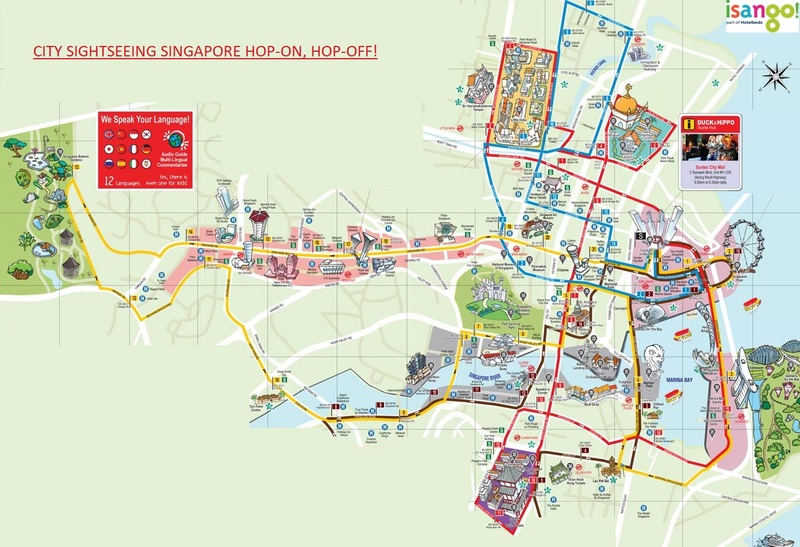 With two routes – Yellow Line and Red Line, enjoy a perfect introduction to Singapore and hop off at attractions of your choice and hop back on the next bus to reach your next destination. You can also remain on the bus for the entire loop without hopping off at any stop, enjoy the drive and listen to the informative audio commentary in 13 languages along with commentary for children onboard. Want to explore more? Upgrade to our & 7 routes ticket (4 hop-on, hop-off & 3 shuttle lines), click here. Present your voucher at Tourist Hub located at #01-330 Suntec Shopping Mall, Singapore, 038983. To reach, you can take MRT to Esplanade and take Exit A. Hop off at any of the designated bus stops. We want everyone to be a part of our tours and hence there are special arrangements for wheelchair ramps. Unused tickets are valid for 3 months from purchase. an get the bus from any stop and any line to the main office at suntec we did this otherwise would of been 30 mins ealk from the hotel, had 2 lines which gavea great view of singapore. frequent buses.